C# and .NET interview Question - Have you used crystal report in your project? If yes, how will you implement the same? Any project you take in .NET or any language reporting is an integral part of the application. You will rarely find application without reports. Due to heavy usage of reporting in application this topic becomes a hot favorite of interviewers. There are two prominent technologies by which you create reports in .NET one is crystal reports and the other is SQL reporting services. In this question we will try to answer from the crystal report point of view. 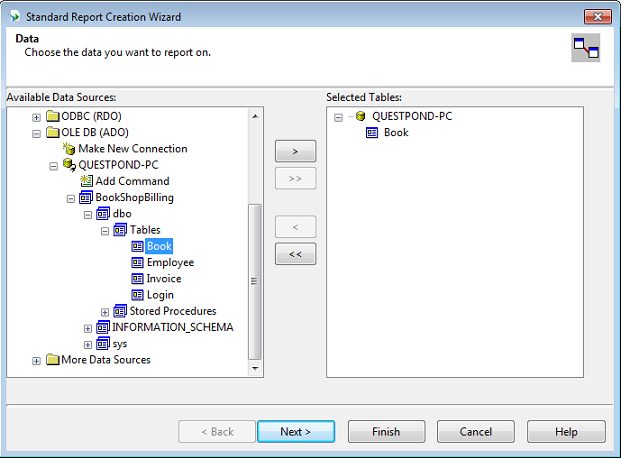 So again a very typical .Net interview question which is asked to understand if you know how to create crystal report. 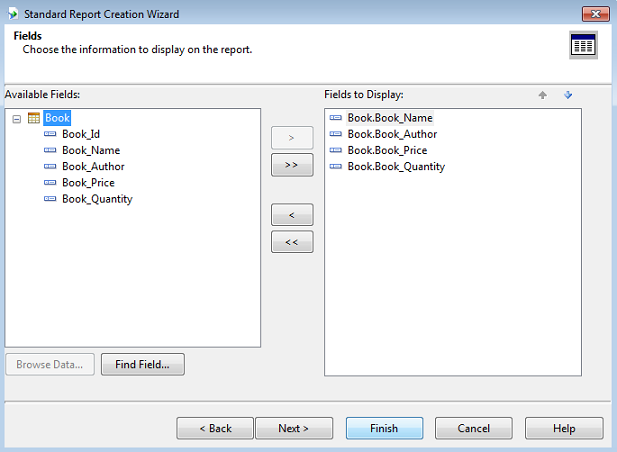 Let’s demonstrate a simple example to see that, how we can create crystal report in our project. 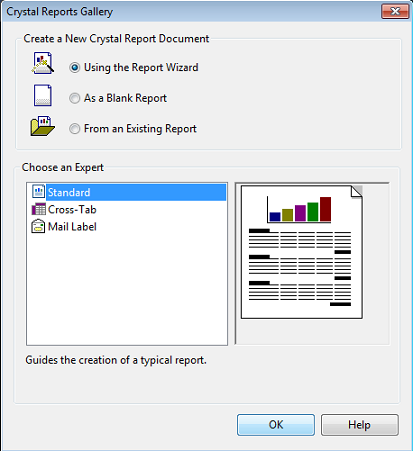 Creation of crystal reports its basically 7 step process as following. 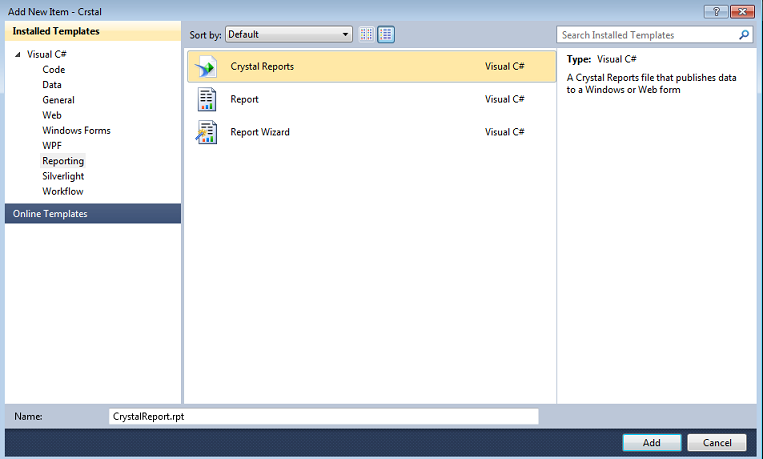 Step 1:-This is very simple and basic step for adding crystal report in the project for that just click on the "Project" menu and select "Add New Item" --> "Reporting"--> "Crystal Report". Step 2:-When you click on add button the following window will appear and you can select your choices according to your project requirement and then click OK. Step 3:-As soon as you click on OK button a new window will appear from that expand Create New Connection ->OLEDB(ADO) as you can see in below diagram. 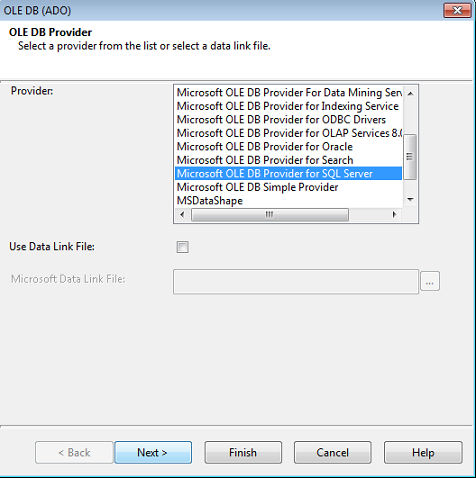 Step 4:-Now, Expand the OLEDB(ADO) folder and a new window will appear with all the connection providers from that you can select your own connection provider name and click on “Next”. Step 5:-When you click on Next a new window will pop-up where you can define your server name and your database name then click on Next another window will pop-up then click on “Finish” later you can see a new window like below diagram with your selected database then you can select the table on which you want to generate report and click on “Next”. Step 6:-Choose the field name, which you want to display on your report and click on “Finish”. 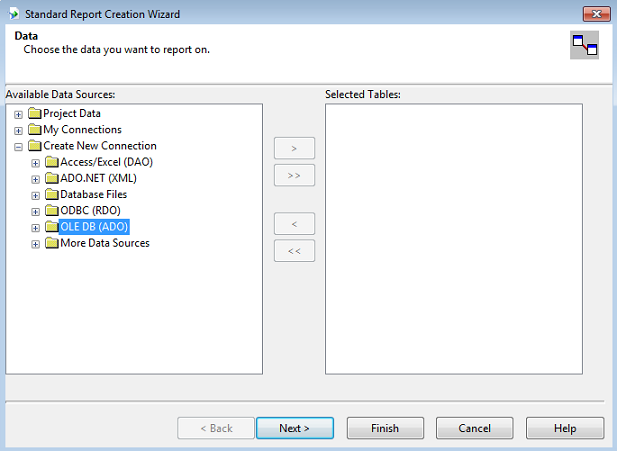 Once you select the report source click on “OK”, now you can run your project and see the report. In the following video, view samples of various questions asked in C# and .NET interview. < Previous question : C# and .NET interview Question - What is Generic? .NET/ASP.NET interview Questions - What is Render and PreRender?